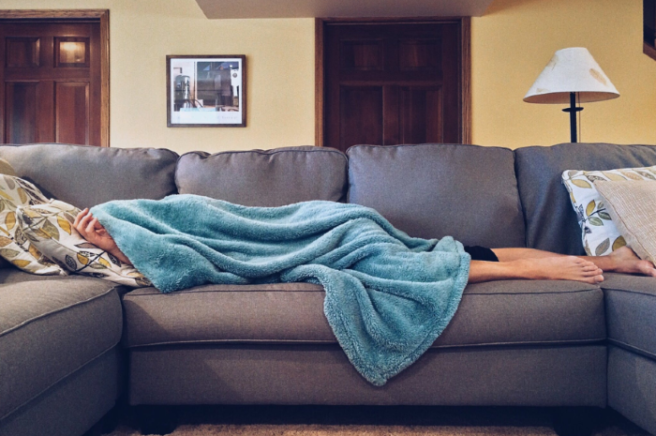 Employment Law Experts (ELAS) are saying that the estimated number of employees calling in sick in 2017 on National Sickie Day was… wait for it…350,000 WORKERS. Wow. Why is the first week of February just too unbearable for everyone to face their jobs? A combination of factors are predicted, such as the first weekend after Dry January and the first post-Christmas pay-day. 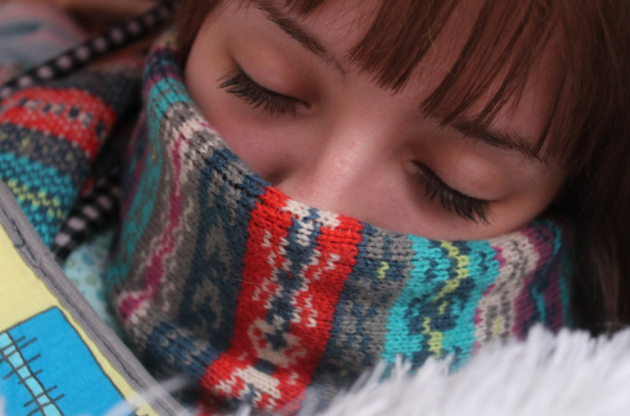 ELAS have also predicted that National Sickie Day will cost the British economy around £45 million (€51.3 million), due to hours lost, wages and overtime. Good God, that's a LOT of wasted labour. The number one excuse for ringing in sick (according to the boss) was the flu, with back pain coming in second, and injury caused by accident in third place. Stress, elective surgery, depression, anxiety, common cold and migraine finished up the top nine, with 'none of the above' in 10th place, meaning there were some other crackers outside of the top 10 that we just NEED to hear. “My only pair of work trousers is in the wash”, “It’s my dog’s birthday and I need to arrange a party for him”, “The dog ate my shoes”, “I got arrested”, “I lost my PPE”, and of course; “I stayed out partying last night and haven’t had any sleep”. Meghan Markle has had a difficult year when it comes to navigating the complexities of family life now that she is a member of the British royal family. 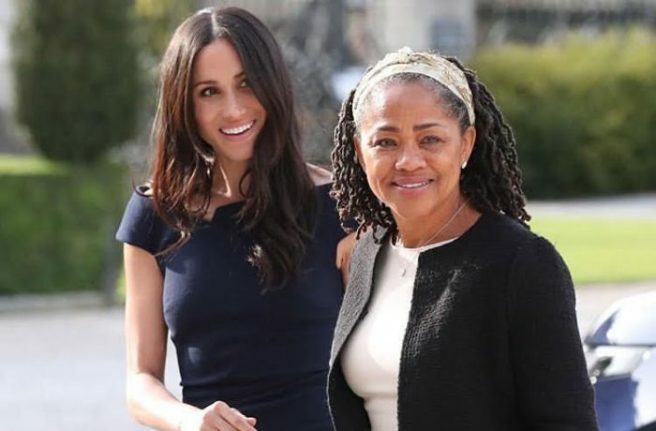 Her mother, Doria Ragland was the only member of her family to attend her May nuptials to Prince Harry. While Meghan spent her first Christmas as a newlywed and expectant mother with the Queen at Sandringham, her mother Doria was not in attendance. It was widely reported following the wedding that Doria had been personally invited to spend the festive season with the royal family. If this was true, she clearly politely declined the offer, opting instead to spend the holidays in Los Angeles. Doria was photographed by paparazzi in the US as she exited her home to collect her post. It is reported that she spent Christmas alone based off the fact that she was photographed collecting her post alone, but for all anyone knows she stepped out of a house full of friends and family. 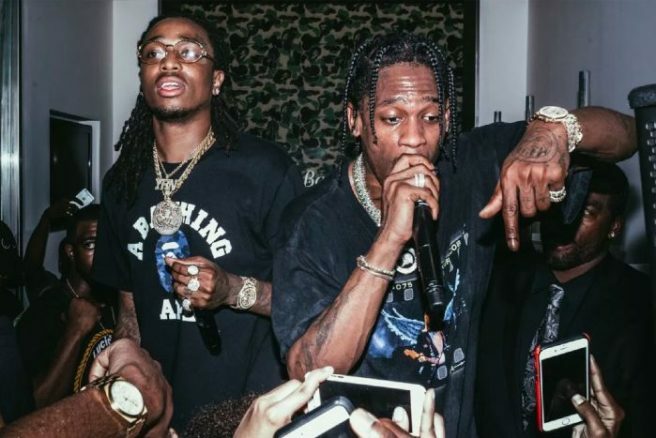 While Kylie spent Christmas partying with the rest of the Kardashian clan, her partner Travis Scott hung out with his immediate family over the festive season. The rapper is known for gifting his parents with extravagant presents, and this year was no exception. The rapper gifted his parents with two amazing cars – a brand new Porshe and a Range Rover. In true millennial style, he filmed his parents reacting to their gift. His parents were clearly overwhelmed with their new wheels, with his mother tearfully expressing her excitement. Travis's father was also in tears, completely moved by his son's outlandish gift. This is not the first time the ASTRO WORLD rapper has spoiled his parents. In 2016, he purchased a new home for them as a Christmas gift. 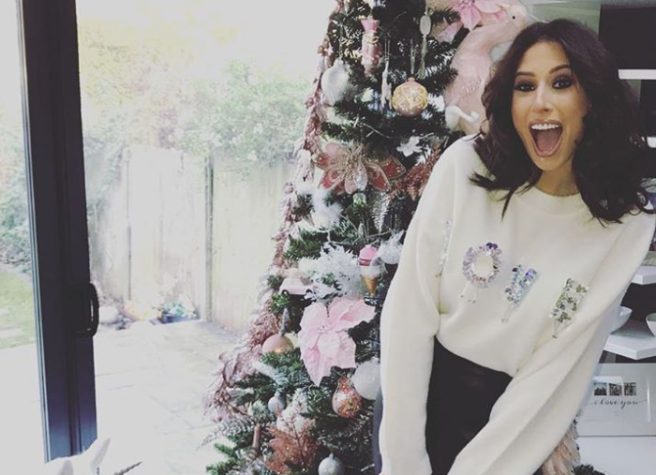 Stacey Solomon has penned quite the emotional post-Christmas message after she spent the day surrounded by her loving family. The Loose Women panelist said that she had quite the manic but wonderful Christmas with her nearest and dearest. Sharing a photo of her family on Christmas Day, Stacey stressed the importance of remembering that Christmas isn’t a merry day for everyone. There are so many people out there struggling for a variety of reasons, including financial reasons and health problems. She extended her love to anyone who is facing difficulties this Christmas. “My heart goes out to anyone struggling at this time of year. “I realise how privileged I am and that lots of other people aren’t as fortunate. Love and light to all,” she continued. The former X Factor contestant shared contact details for numerous charities including Childline, Mind Charity and Samaritans. Stacey’s moving post has reminded us of how important it is to realise that Christmas can be an extremely hard time for so many people and it is vital that we keep them in our thoughts. Plates are empty, the dishwasher is full, there's a Christmas film on the telly and your Dad is already nodding off in his armchair. The hours and days after your Christmas dinner has finally digested are traditionally a time to feast of turkey sandwiches – and lots of them. However, we'd all like to think that our culinary skills have progressed a bit over the past year, and what better way to put them to the test than by creating scrumptious dishes from the Christmas leftovers? 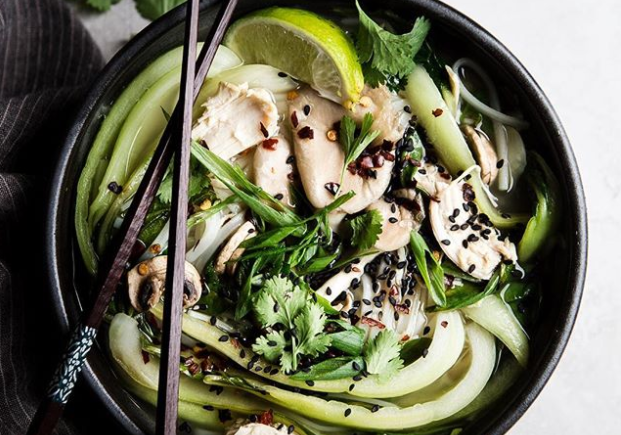 And to help, we've rounded up some of our favourite leftover turkey recipes that are both simple to make and oh-so tasty. Huge congratulations are in order for Mrs Hinch aka Sophie Hinchliffe who has announced she is expecting her first child. The Instagram star revealed the big news in a touching photo with her husband Jamie and their dog Henry posing by the Christmas tree. Fans were quick to congratulate the Internet sensation following her major announcement. “Congratulations! This couldn’t happen to a better couple! Merry Christmas you beautiful people,” one wrote. “What an amazing year!! Massive congratulations Mr & Mrs Hinch! !” one gushed. 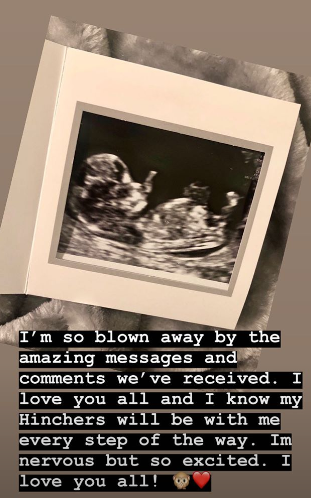 Sophie took to Instagram stories this morning to express her shock at the huge support since she announced she was expecting her first child. “I’m so blown away by the amazing messages and comments we’ve received. I love you all and I know my Hinchers will be with me every step of the way. “I’m nervous but so excited,” Sophie added. We are absolutely thrilled for Sophie and Jamie. Talk about the best Christmas present ever. Dads are gas, and Dads on Christmas Day are especially gas. While the rest of the family tend to evolve and mature as each year passes, there's something particularly steadfast about our fathers' behaviour on December 25. Whether you're five or 25, you'll proffer the same presents, hear the same jokes, and endure the same digs. And in honour of the dads in our lives, here are just 10 things every one of them does on Christmas Day. 1. Puts on the new jumper your mam bought him, and admires himself in the hall mirror when he thinks no one is looking. "I'll cut some dash at mass, I'd say." 2. Pretends to know what he has supposedly bought for his loved ones. "Ah, you know your mother looks after that." 3. Acts as if his one and only contribution to Christmas dinner has kept the whole meal afloat. "Where would we be without these carrots, lads?" 4. Creates a very neat pile of the presents he's received and then disappears upstairs with them. "Sure, I don't know myself with all my new loot." 5. Tries to make you laugh at mass before getting a bollockin' off your mam. "Don't mind your mother, you know I'm hilarious." 6. Examines everyone else's gifts and acts as if he's discovered fire. "And you're telling me every step you take is measured on this watch yoke?" 7. Examines every chocolate he removes from the tin, and insists they're getting smaller each year. "In my day you could barely fit your gob around a caramel barrel,"
8. Insists there's feck-all on the box this Christmas, but manages to cram in a solid 14 hours of viewing. "I'll watch it, but I won't be happy about it." "A Raleigh racer, and Jesus, she was a beauty." 10. Invites the neighbours in, and then disappears after he's thinks they've outstayed their welcome. "Jaysus, would she be as quick getting through a bottle of Baileys in her own house?" Netflix has released its list of the very best Christmas movies on the planet (actually, just the best Christmas movies on Netflix). While we totally agree with some of the contenders on the streaming mega site's list, there are quite a few other festive films that we think deserve a mention. We've officially taken the hassle out of the 'so what will we watch tonight' dilemma, by putting together a countdown of our favourite festive flicks. This Netflix Original Christmas special graced our screens last year. If you're looking for something a little less traditional, then this gem is for you. Featuring huge celebrities such as Miley Cyrus, George Clooney, Amy Poehler, Chris Rock and Michael Cera, this comedy special-turned-musical is well worth a watch. If the Big Big Movie on RTÉ isn't a Harry Potter in the run up to Christmas, is it even Christmas? 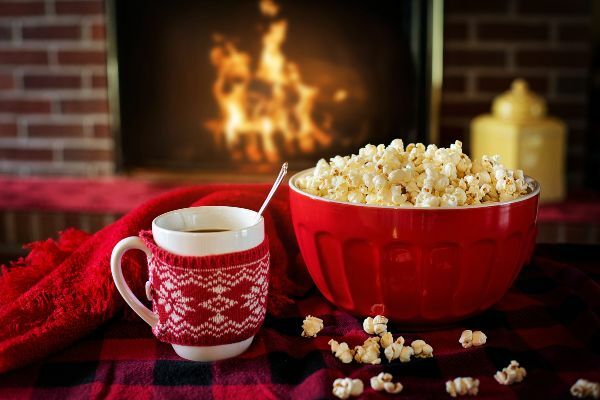 There is absolutely nothing better than snuggling up on the couch, hot chocolate (or wine) in hand, to watch these magical classics. While they are not exactly Christmas-themed, what better time of year to binge watch some wizardry than the Christmas holidays? An obvious contender, Dr. Seuss' How the Grinch Stole Christmas is a complete classic. Starring comedy veteran Jim Carrey as the Grinch, and a very young Taylor Momsen (remember her from Gossip Girl? ), this fantasy Christmas film is crazy, sometimes dark, and altogether amazing. Dr Seuss' remarkable ability to create an incomparable world of fantasy is apparent in The Grinch like no other. While You Were Sleeping is easily one of the best romantic movies around, even if it is a little dark for a festive film. Lucy (Sandra Bullock), falls in love with Peter (Peter Gallagher), while working as transit fare collector in Chicago. Peter is a daily traveller on Lucy's train platform, and one Christmas, while worshipping him from afar, Peter is robbed and shoved onto the tracks. Lucy saves him from a train, but Peter falls into a coma. A MAJOR mix-up at the hospital leads to Peter's family mistaking Lucy for his fiancée, and his imminent memory loss and saucy brother make things even more interesting. The epitome of a Christmas classic, A Miracle on 34th Street might be a sappy one, but it's a great kind of sappy. Starting with a drunk Santa (could it have inspired movie number 10 on our list? ), and culminating with buckets of good will and festive cheer, it's hard not to love. 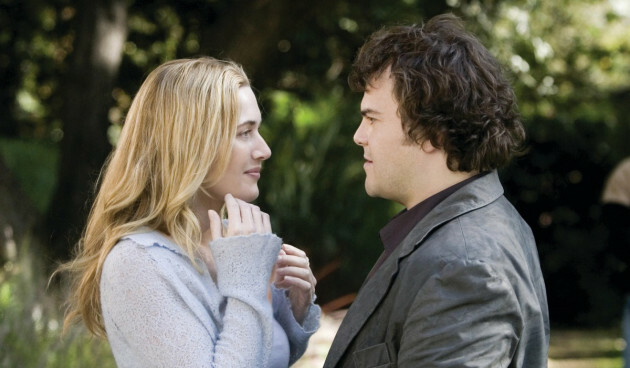 Another Christmas rom-com, this blockbuster features a star-studded cast including Kate Winslet, Jack Black, Cameron Diaz and Jude Law (swoon). While the Jude Law factor alone is reason enough to watch, two hilarious and poignant romances unfold, as Amanda (Diaz) and Iris (Winslet) swap their homes for the other in a transatlantic transaction that leads to love. Luther, played by Tim Allen; and Nora Krank, played by Jamie-Lee Curtis, decide to skip Christmas this year and go on a cruise. Their daughter, Blair, has flown the nest and won't make it home, so the usually festive family decide to forego Christmas altogether. This doesn't go down well with their neighbours, who want to win the town award for best neighbourhood decorations. Expect a laugh a minute from this famous flick. This '90s comedy classic is essential, come Christmas time. With a cameo appearance from US President-elect Donald Trump, this amazing movie isn't the highest grossing Christmas movie of all time at the North American box office for nothing. Apparently it's a requirement to have Tim Allen as the lead if you want your Christmas film to be a success. In this heartwarming tale from 1994, Allen plays Scott Calvin, who (spoiler alert) must become the new Santa Clause after accidentally killing the old model, while also convincing his loved ones that his transformation is a reality and not a delusion. This film also deals with the difficulties of joint custody all while maintaining that certain 'je ne sais quoi' that all of the very best Christmas movies offer. We have to agree with Netflix on this one; Love, Actually has got to be the best Christmas movie ever. Intertwining the lives of multiple characters, we dare you not to get emotionally invested in the highs and lows, dismays and triumphs, of this absolute classic. When it comes to comfort, Christmas is the one day of the year when pretty much anything goes. Wear you dressing gown at the dinner table? – No problem. Nip to the shop in your slippers? – Go right ahead. Stay in you onesie all day long? – Absolutely, in fact, we insist. Christmas day is all about family, food and feeling cosy, which is why we've come up with a few reasons why staying in your onesie all day is perfectly acceptable. If anyone finds a more comfortable clothing item, we want to be the first to hear about it. For now though, you'll find us lounging in front of the telly in our favourite onesie. There's dinner to be cooked, presents to be opened and cheesy Christmas films to watch – honestly who has the time for anything else? Just roll out of bed and let the festive fun begin! Sure, everyone like to look their best at Christmas time, but when your aunt Marie is the only one to compliment your efforts, you're better off saving yourself for Stephen's Day. Christmas Day is the one day of the year when it's totally acceptable to eat your body weight in glorious food – the skinny jeans are just holding us back. The onesie game has gone from strength to strength over the past few years, meaning we no longer have to compromise style for comfort. December may be a week away, but it's fair to say Christmas party season is already in full swing. And as well as being synonymous with shifting the wrong person and waking up with a pounding head, it's also the time of year when you go big or go home on the manicure front. 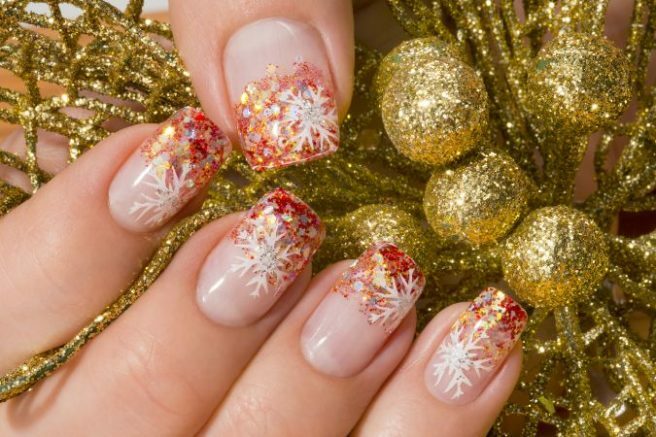 While you may opt for muted shades throughout the rest of the year, the festive season gives you carte blanche to go batsh*t crazy with those nails of yours. If you're only dying to mix it up, but have found yourself stuck for some inspiration, worry not, because we've got you covered. 2. What more can we say? 5. Almost too cute to handle. 6. Lovin' the matte finish. It's the night before the big day and most of us are hastily wrapping last-minute presents or in the pub but by tonight, it'll be time to relax. And what better to relax with then a good aul Irish movie? 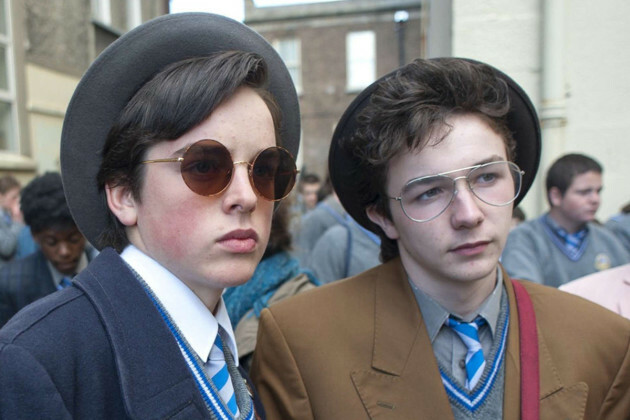 RTE has come to the rescue again tonight with the perfect choice to settle down in front of – Sing Street. If you haven't seen it, then you're in for a treat. 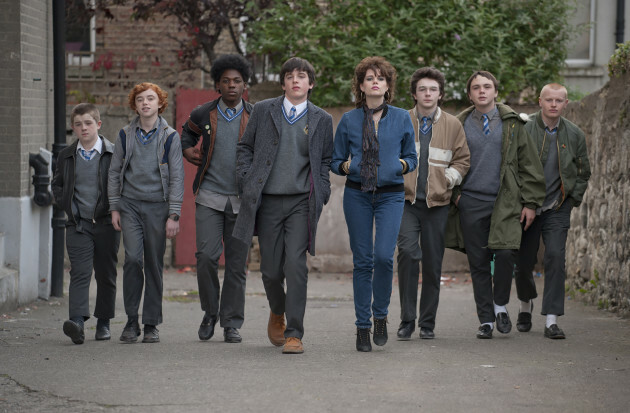 Set in 1980's Dublin, the movie follows teenage Conor as grapples with his parents divorce and having to move to the rough-and-tumble Christian Brothers school. When he meets the mysterious Raphina, he decides to set up a band to woo her – with hilarious results. It's jammed back with cool 80's tunes, brilliant costumes and a real feeling of nostalgia – what more could you want? Also, the band's video for Riddle of the Model is not only seriously funny but actually quite a good song. Sit back and crack open a box of Quality Street – you won't regret it. 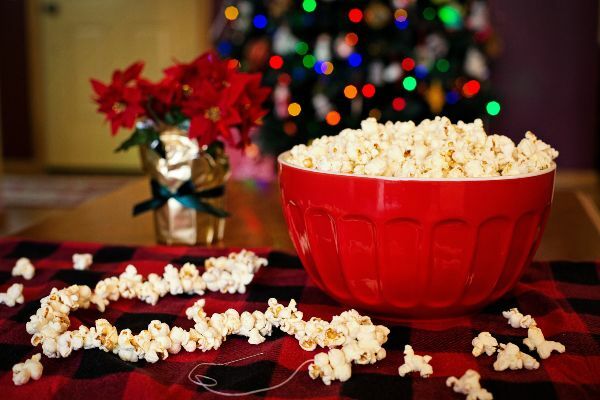 In amidst the rushing to shops to buy last-minute presents, furiously wrapping and cramming in as many meeting with old friends as possible, there is always time for a Christmas staple – settling down in front of a good festive movie. If you're staying in tonight, then you're in luck. RTE One knows exactly what we want and they have slotted on the perfect feel-good Christmas flick at 9:30pm tonight. It's none other than…The Holiday. This 2003 rom-com has turned into a fully-fledged festive favourite – and we love it. In case you're unfamiliar with the plot – two miserable women on the cusp of Christmas partake in a life-swapping experiment. Glowy Californian Cameron Diaz who works in movies and lives in a an L.A mansion swaps with Kate Winslet's quaint but quiet Surrey cottage. It might sound a bit cheesy (and at times it is) but it fizzes with charm and the supporting cats of Jack Black, Jude Law and Eli Wallach make it a must-see come December. We plan on whipping up that Baileys hot chocolate and settling down in front of the telly tonight – you should too. The Holiday, 9:3pm tonight, RTE One.